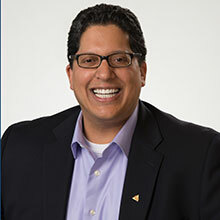 Lucia jigs, NTI’s, Cranham deprogrammers, and Dawson B-Splints all fall into the broad category of temporomandibular joint disorder diagnosis appliances. 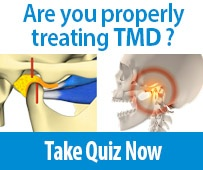 There are specific reasons as to why you may want to use one type over another when diagnosing a possible TMJ problem, but at their core they all achieve the same goal, getting centric relation by eliminating muscle hyperactivity. 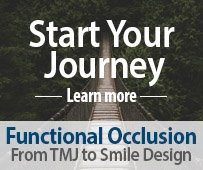 Unlike full coverage orthotics with classical occlusion milled in, the anterior deprogrammer creates a small contact point for the incisors to meet, while disengaging all of the posterior teeth. In essence, it “clears the dance floor” of any noxious posterior interferences. 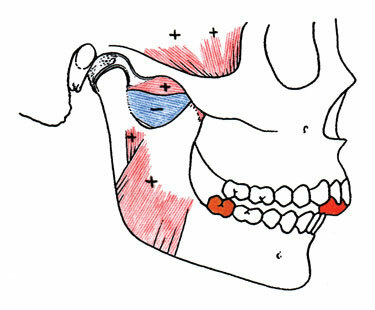 In not allowing the posterior teeth to contact, the hyper-functioning lateral pterygoid muscles will relax, the elevator muscles activity will decrease which allows the TMJ to seat in centric relation (fig. 1), often in minutes.